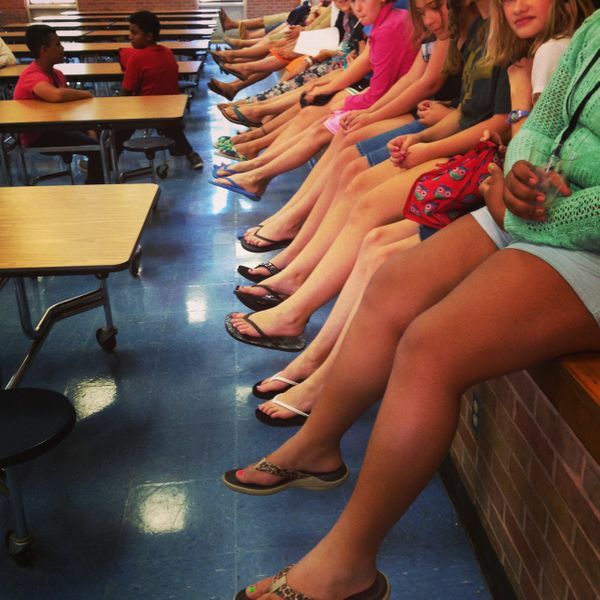 Today was officially "Flip Flop Friday" and the 6th graders were ready to show off their feet. Here they are in the cafeteria at the end of lunch. Fun Friday themes really help build some school spirit!